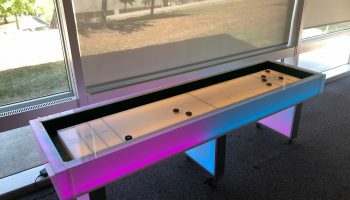 Slide your pucks down the illuminated and smooth playing surface of our LED Lighted Shuffleboard Game Rental to win! Offense and defense are both key factors in the strategy of winning at this game. It’s a classic with a modern twist – a game that always is very popular at every event. 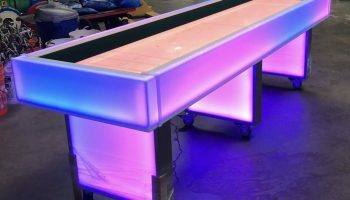 With our LED Lighted Shuffleboard Game Rental this will transform your indoor party into a colorful event. 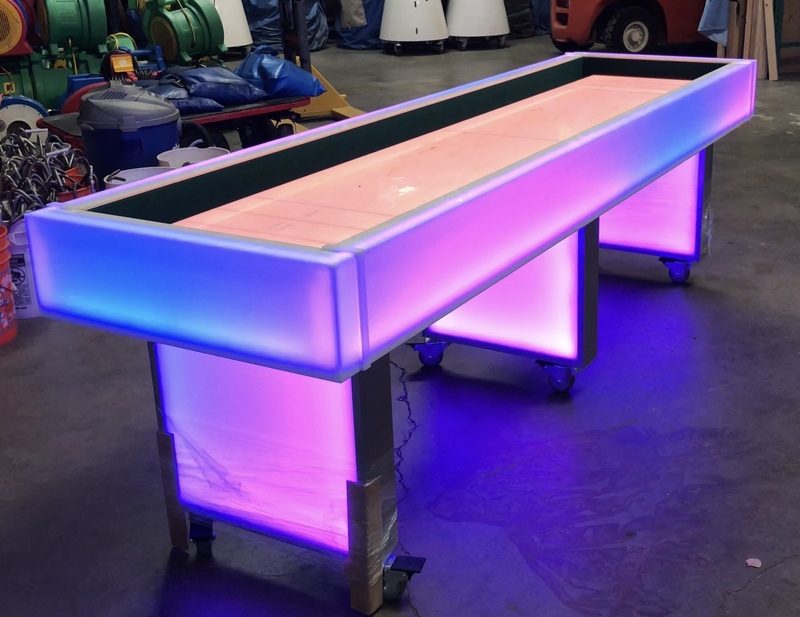 We can change the colors on our table to your company colors or even brand the game with your slogan or company name. 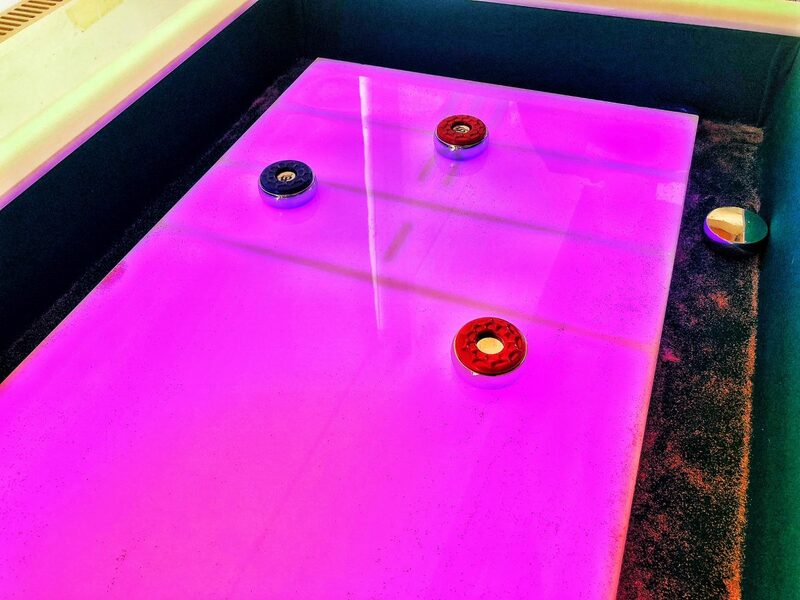 This is how our LED Lighted Shuffleboard Game Rental is played. The object of the game is to score points by either knocking there pucks off or by sliding your pucks past his into a higher score zone. A typical game is played to 15 points. This can be played one on one or with partners. The first player begins by shooting one of there colored pucks. The second shoots the other color. The players then rotate shots until all eight pucks have been shot. 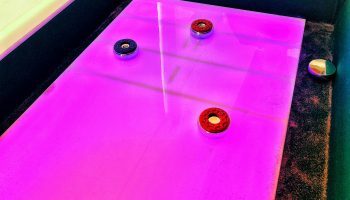 After all eight pucks have been shot, the players determine who scored by counting only the pucks closest to the end of the table and are the same color. If a player has more than one puck closer to the end of the table then his opponent may also count those pucks. Remember, only one color can score per frame. A puck must be completely inside the score zone to receive the points in that zone. The team or player that scores in that frame must shoot first in the next frame. This process is repeated until one team or player reaches 15 points. 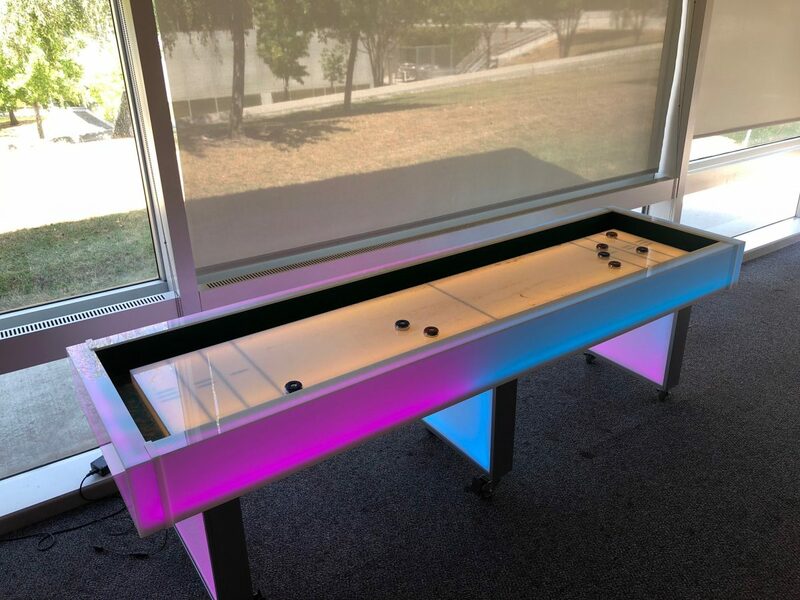 Our LED Lighted Shuffleboard Game Rental can be delivered to most locations in San Francisco, San Jose, Oakland, Palo Alto, Santa Clara, Monterey, Santa Cruz and all over Northern California and the entire Bay Area.